Paul Finebaum — a longtime sports talk radio host known by many as the leading sports authority in the South and the “Voice of the SEC’’ — joined ESPN in August 2013 as host of the The Paul Finebaum Show. The four-hour daily program, heard on ESPN Radio Monday – Friday from 3 – 7 p.m. 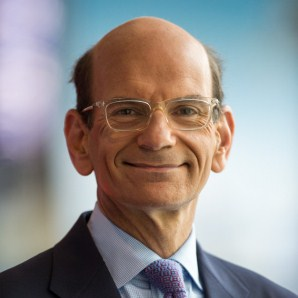 ET and simulcast on SEC Network, showcases Finebaum’s compelling opinions and deep knowledge of the SEC as well as his interactions with his passionate callers, many of whom have followed him for years. On August 16, 2017, Finebaum debuted a TV-only hour of his show on ESPN2 at 2 p.m. ET.